So here’s a story for you all. So I was at Theo Katzman’s show on Friday & was hanging around wait for the show to start. Started talking to the girl next to me, we start talking about Glee. We’re talking about Darren (of course) and she goes, “A client of mine was actually in the Big Brother episode.” Intrigued I ask the obvious, “Who?” Her answer, “The little boy who played Young Blaine.” Turns out they didn’t actually ‘white wash’ Blaine, the little boy is mixed race, Native American & Japanese. And at one point they actually asked if he was willing to perm his hair! This girl actually represented little ‘Cedes & little Santana too!! 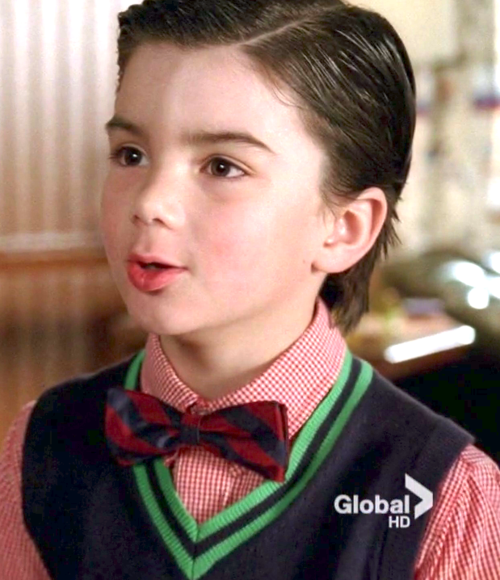 via Hope For Everything, Expect Nothing – klaineisnow: Does anybody know who this adorable…. Would’ve loved to see that curly hair . . . Saw this on Tumblr today and was very happy—we don’t know what it means yet in terms of his family’s makeup (maybe Season 4 will answer that for us), but continuity-wise, I’m thankful. But honestly? I’m not totally surprised, either. But at the same time, I wish the show’s thinking about these kinds of details was more public. We end up with just an anecdotal tidbit floating around in the Tumblrverse . . .